Ray and I sell houses. Houses are homes. Homes have people. People have stories. Ellen touched our lives. We met Ellen when another customer called and said they had a dear friend that needed to sell her house. They told us "we trust you to take care of Ellen". And so our journey with Ellen began. What a gift we were given. I have put together our Ellen story...just as I had it on our instagram and facebook. It touched my heart to see people love our Ellen, too. I answered the phone the other day and was thrilled to be greeted with the familiar, "Hello my friend! How are YOU!" It was Ellen calling to let us know she was loving her new home and to share her new phone number. Before she moved I asked her permission to share her story. She asked, "Will they be nice stories?" I smiled at my dear friend and said "YES, they will be very nice". My “Ellen”lamp. Ray & I were helping an elderly customer pack. (Her house closes in 10 days) She made this lamp 35 years ago! She was going to throw it away! It is now proudly being used in my kitchen. The 6’ man looked at Ellen & said “Yes ma’am” & picked it up. “Ellen” story. We closed on Ellens house. One day while we were packing she shared that she & her Hubby would walk the beach daily before he got sick. She said she hadn’t been to the beach in over a year. Now, with her house sold Ellen was moving back to where she was raised in the NorthEast.She was drastically downsizing. This process has been an exhausting & emotional rollercoaster. 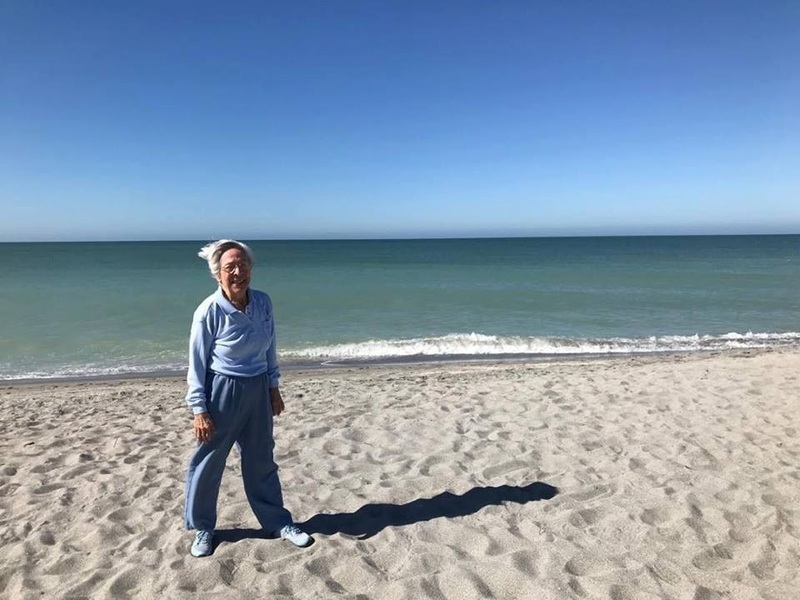 After theclosing, as she & I were leaving the attorneys office I asked if she wanted to stroll the beach along the Gulf of Mexico one more time. She smiled and said “oh Mary, I would love that. Do we have time?” Yes, all the time in the world. — with Ray A Westbrook.